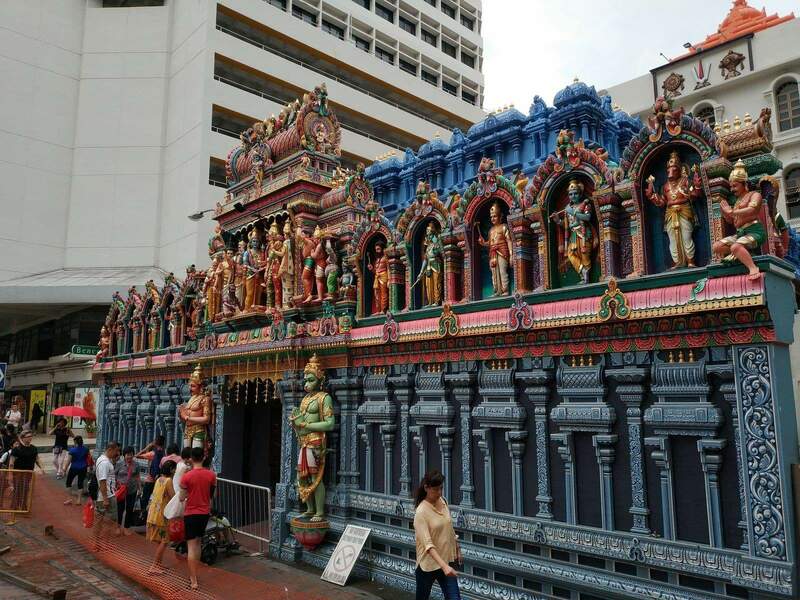 Visitors and tourists to Singapore, especially those visiting Waterloo Street, will find it impossible to miss the Sri Krishnan Temple. 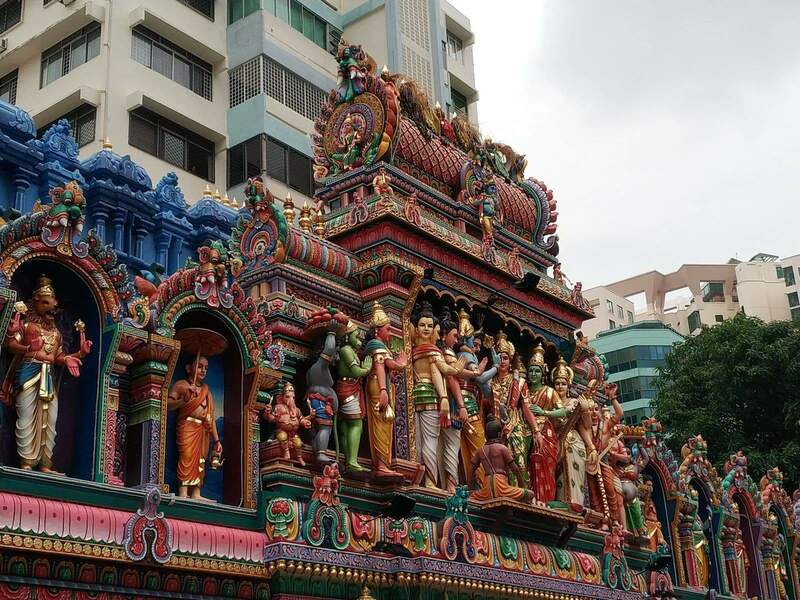 Established in 1870, this spectacular religious temple was initially a tree depicting a Hindu deity underneath which catered for the religious needs of the growing Hindu community. 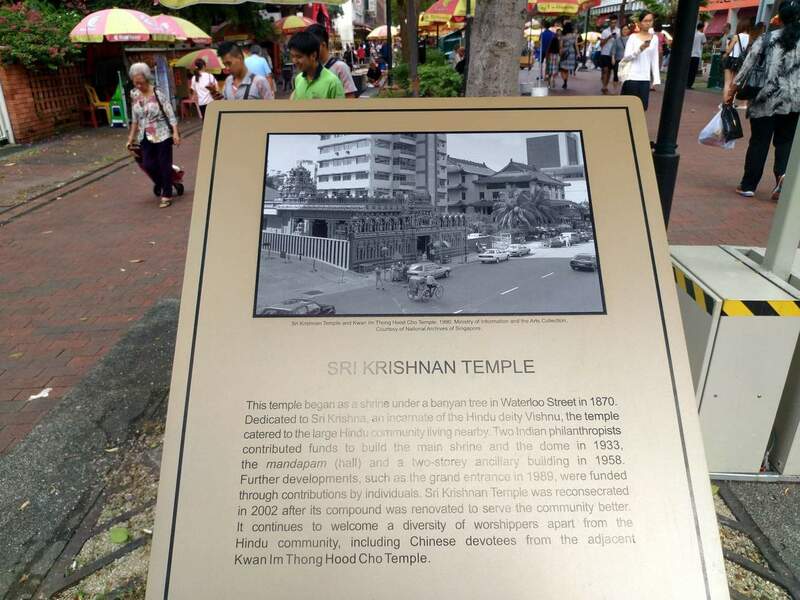 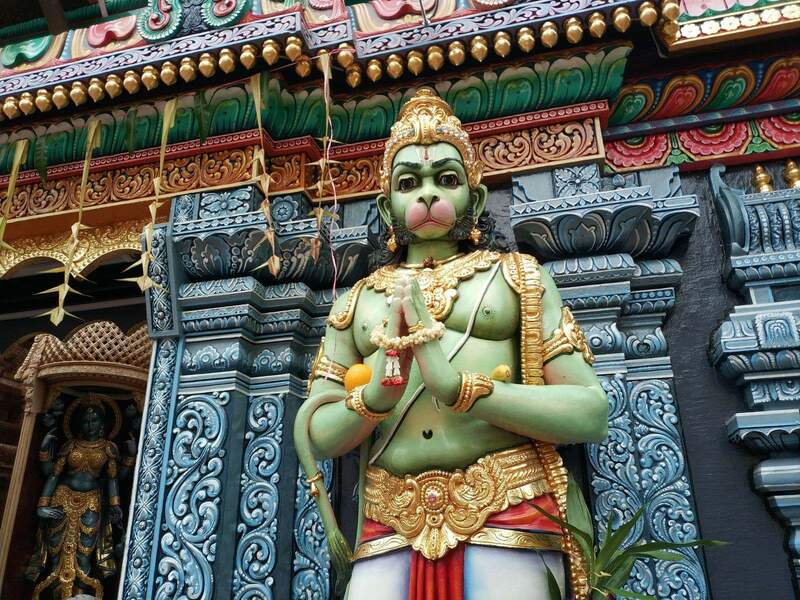 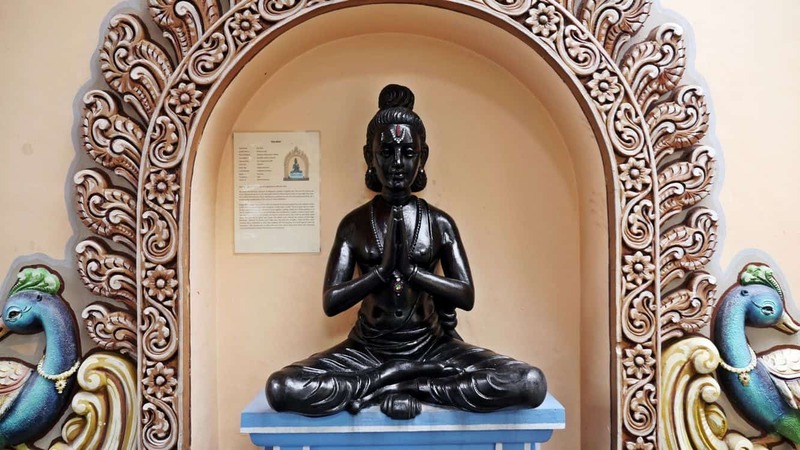 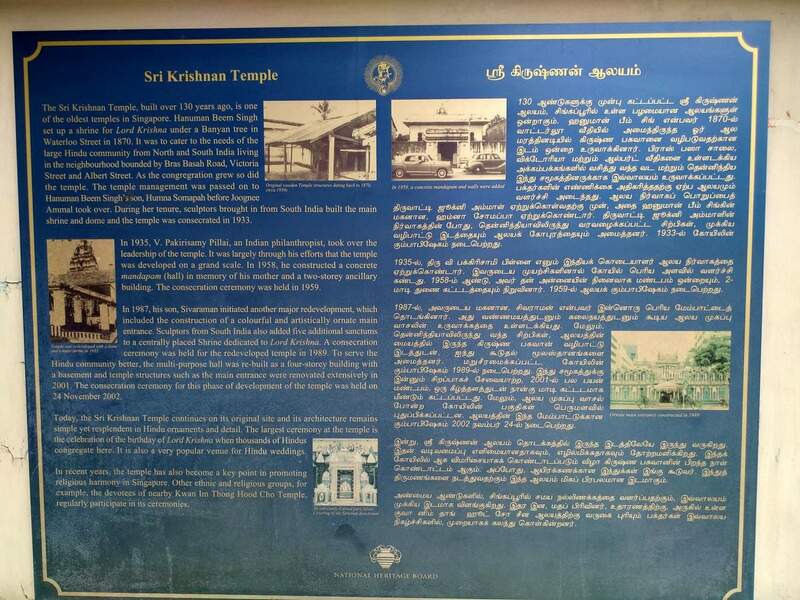 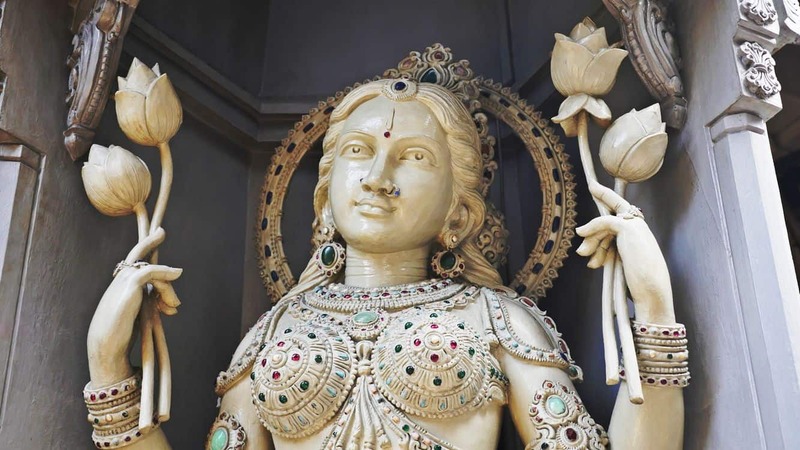 Over the years the Sri Krishnan Temple was constructed by several different people managing it until it became one of the top Singapore attractions it is today. 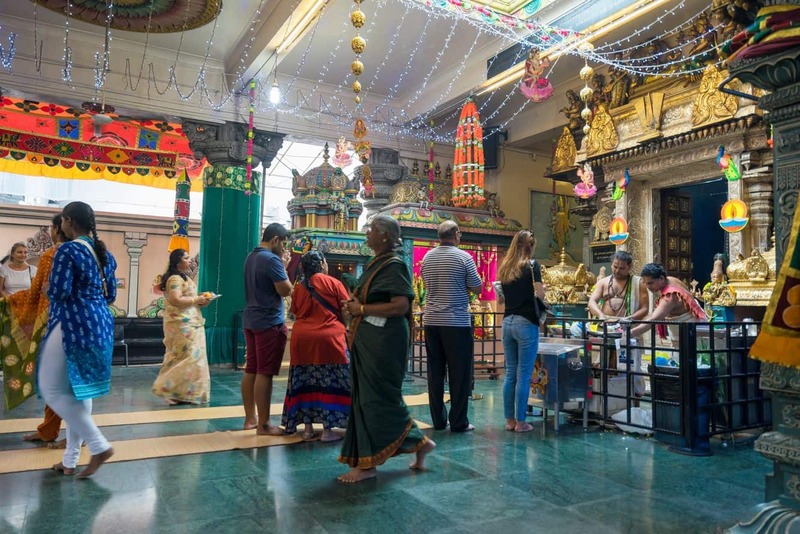 Although it is a religious Hindu temple, it draws tourists across all religions and ethnic groups. 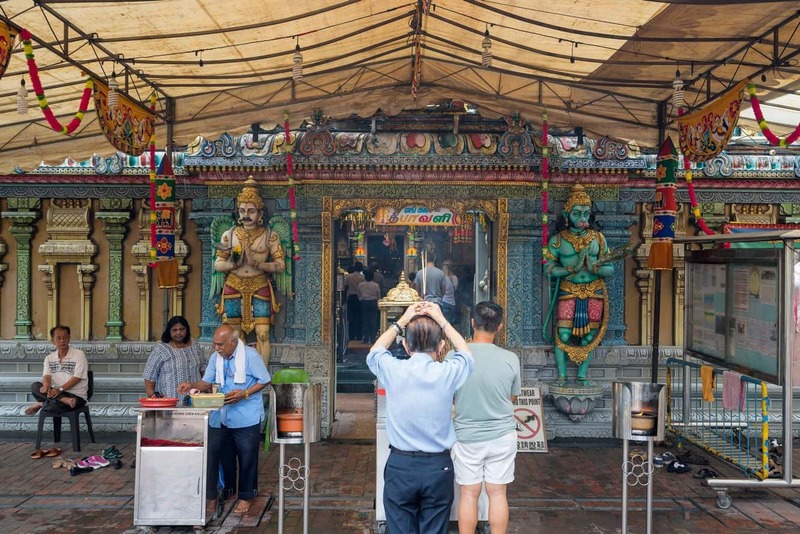 Chinese Buddhists also light joss sticks from the Kwan Im Thong Hood Cho Temple and join in with locals and visitors by rating this temple the harmonious symbol of multi-religious and multi-cultural society in Singapore. 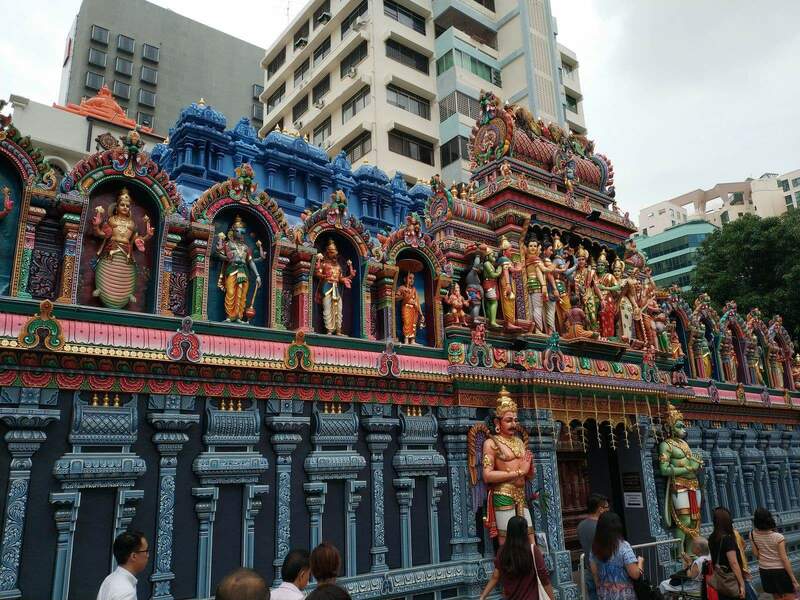 Since it is a strongly multi-religion temple, the management of the temple decided to pay tribute to the Goddess of Mercy, Guan Yin and erected an altar within the grounds of the temple. 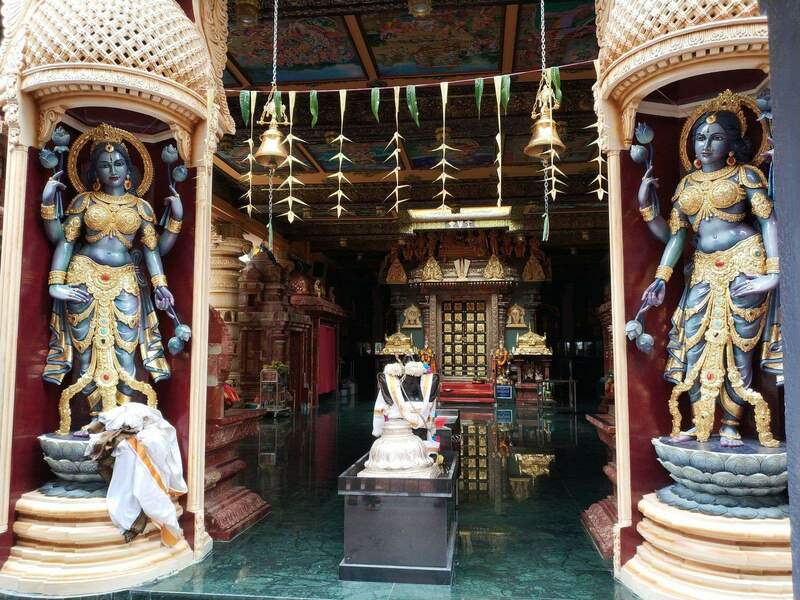 This was done in order to receive continue blessings for the Goddess for the Sri Krishnan Temple. 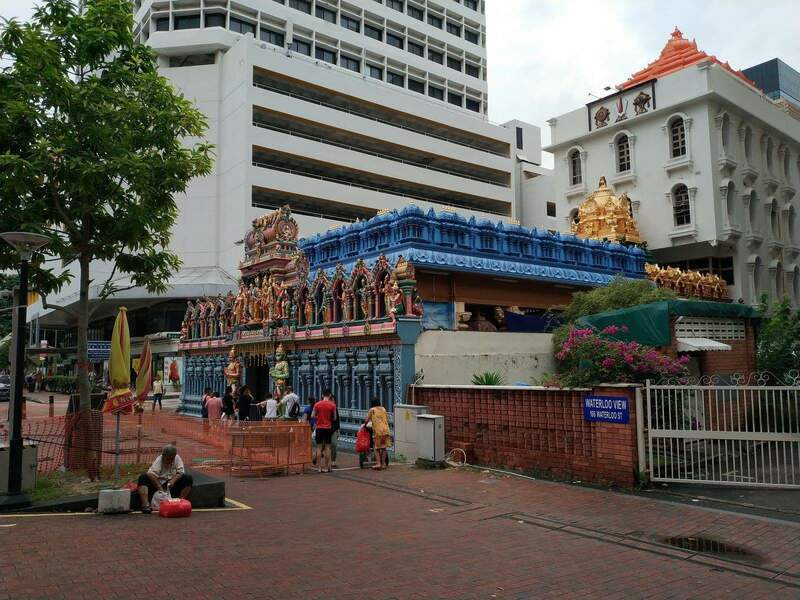 On your next visit to Chinatown you should make the time to visit this temple, it is impossible to miss! 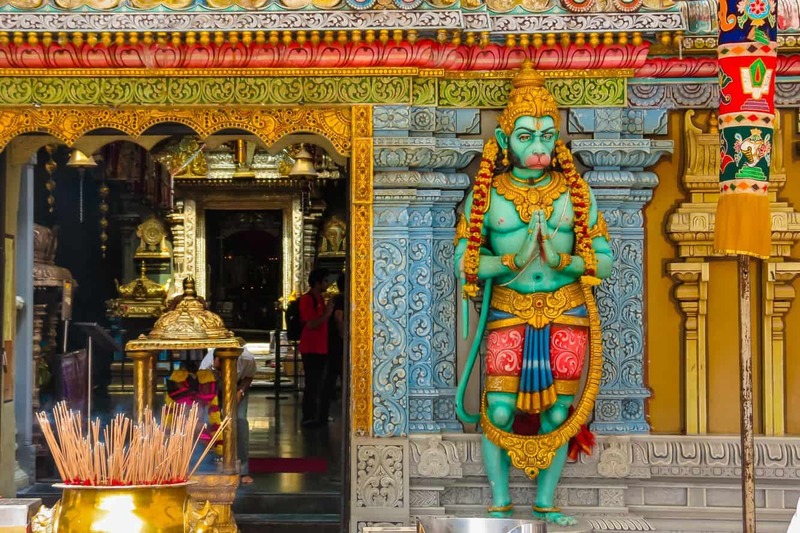 The entrance spire is adorned with bright and colorful statues and although you have to remove your shoes it is worth the visit. 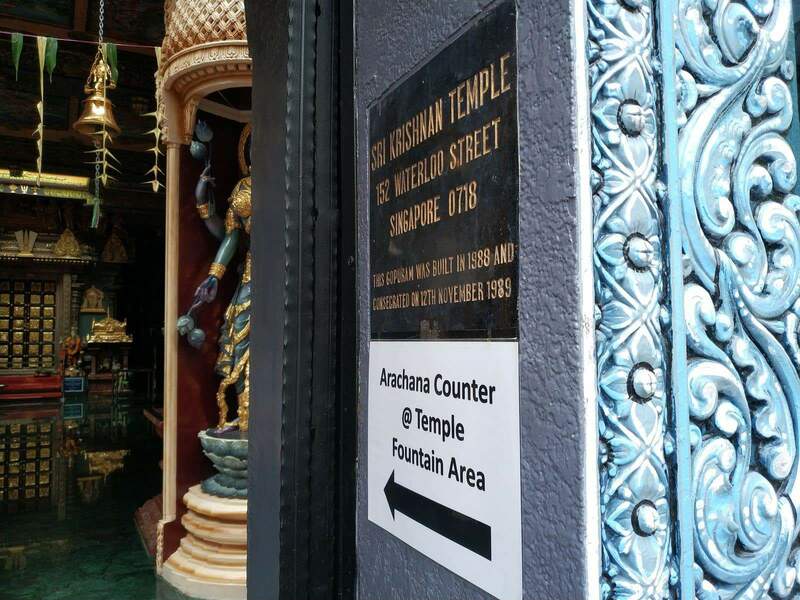 Cameras and video cameras are allowed inside the building with a small fee of $3 and $4 for video camera use. 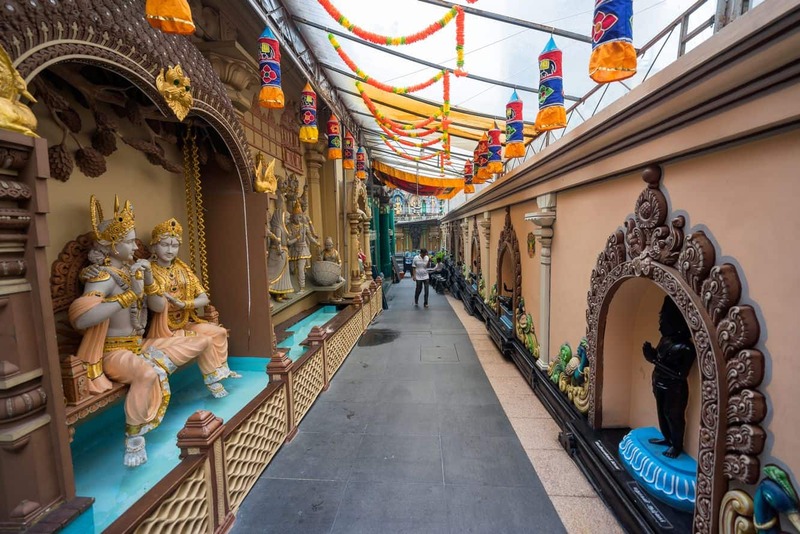 There are some areas which are not accessible to tourists as it is strictly for worshippers and rules demand that visitors remain respectful and quiet during a temple visits.